Book Anil Seth as a keynote speaker. Anil Seth is one of the world's leading experts on the neuroscience of consciousness. He is Professor of Cognitive and Computational Neuroscience at the University of Sussex, where he is also Co-Director of the Sackler Centre for Consciousness Science. He is also a Wellcome Trust Engagement Fellow, a Senior Fellow of the Canadian Institute for Advanced Research, and the 2017/18 President of the British Science Association (Psychology Section). The possibilities and limitations of A.I. 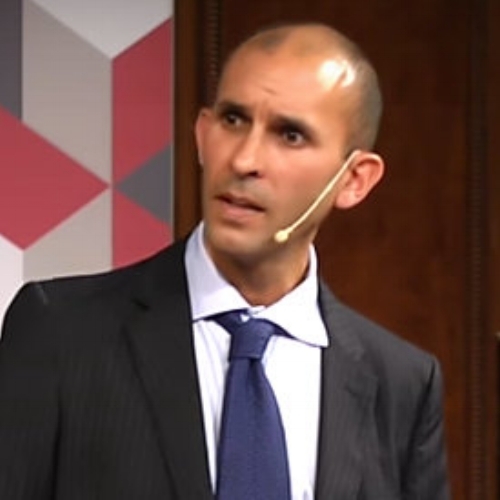 Anil Seth is one of the world's leading experts on the neuroscience of consciousness. He is Professor of Cognitive and Computational Neuroscience at the University of Sussex, where he is also Co-Director of the Sackler Centre for Consciousness Science. He is also a Wellcome Trust Engagement Fellow, a Senior Fellow of the Canadian Institute for Advanced Research, and the 2017/18 President of the British Science Association (Psychology Section). Anil is Editor-in-Chief of Neuroscience of Consciousness (Oxford University Press), was Conference Chair of the 16th Meeting of the Association for the Scientific Study of Consciousness (ASSC16, 2012), and sits on the steering group and advisory board of the Human Mind Project. Anil's writings include editing and co-authoring "30 Second Brain" (Ivy Press, 2014), consulting for Eye Benders (Ivy Press, 2013; winner of the Royal Society Young People’s Book Prize 2014) and contributing regularly to a variety of media including the New Scientist, The Guardian, and the BBC. He also writes the popular blog NeuroBanter. Anil's pioneering research provides a window into the most mysterious and fundamental element of our existence - consciousness. With exceptional clarity, and drawing upon a wealth of research and colourful examples, Anil explains that what we experience as consciousness is the result of hallucinations created by the brain - and what we call "reality" is the hallucinations we agree on. The implications of his work are profound. What does this understanding of consciousness mean for the possibilities and limitations of A.I.? What about Virtual and Augmented Reality technology? What does it mean for the future relationship between human and machine? How does this change the way we think about decision-making?